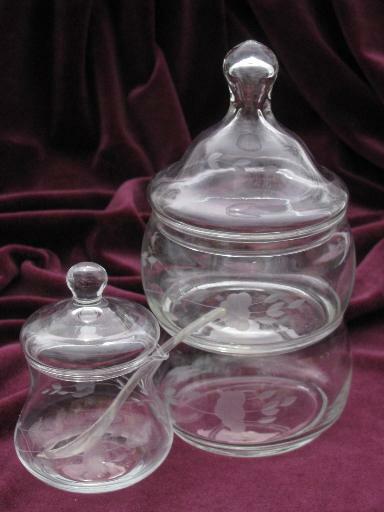 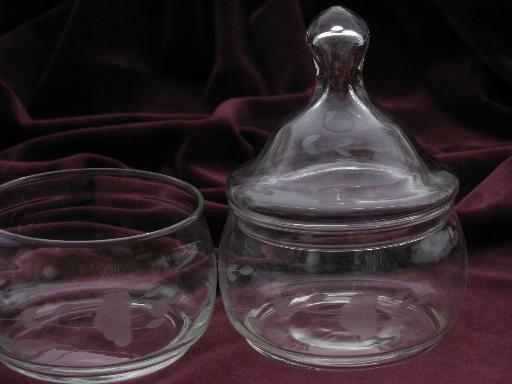 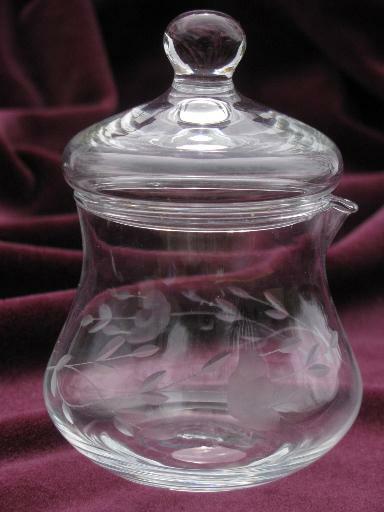 Heritage pattern Princess House glassware - this lot is a condiment jar (jam or mustard pot?) 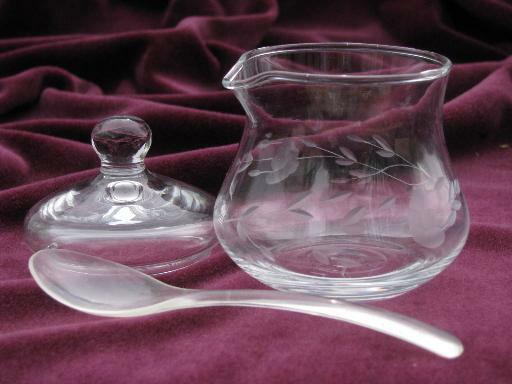 with small plastic spoon, and two stackset dishes with cover, about 7 1/2" tall overall. 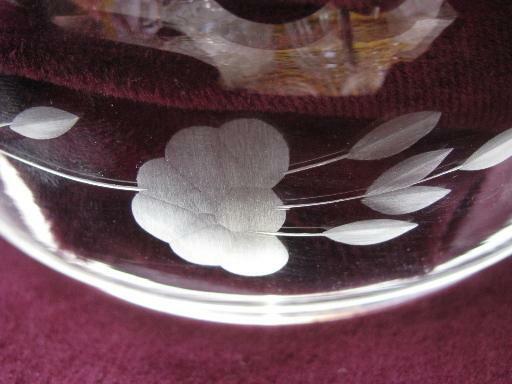 All is in very nice condition without chips, cracks or damage.